Your half-day wade trip is a perfect way to get out of the city and enjoy the beautiful nature of the foothills of the Rocky Mountains. Perfect for anyone interested in learning, practicing or refining their fly fishing skills, your professional guide will provide personalized instructions and ensure a memorable time in the serenity of nature. Round-trip transport from your downtown Denver hotel or Denver Union Station included. Your half-day fly fishing tour provides a safe, fun, and authentic Colorado Rocky Mountain fishing experience. Breathtaking imagery, mountain rivers, and high mountain streams provide a scenic backdrop for a beautiful high altitude fishery in the Rocky Mountains. 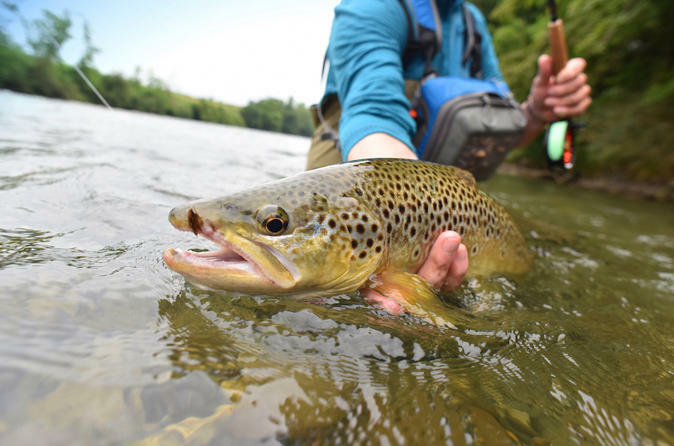 Knowledgeable, world-class trout trackers provide an opportunity to learn about the sport as well as conservation of one the oldest American past times. Your guide provides local knowledge, high-quality equipment and an amazing experience in beautiful scenery. Snacks, refreshments and upscale transportation included.